Uber has had a history with disgruntled employees, or partners as they like to call them. 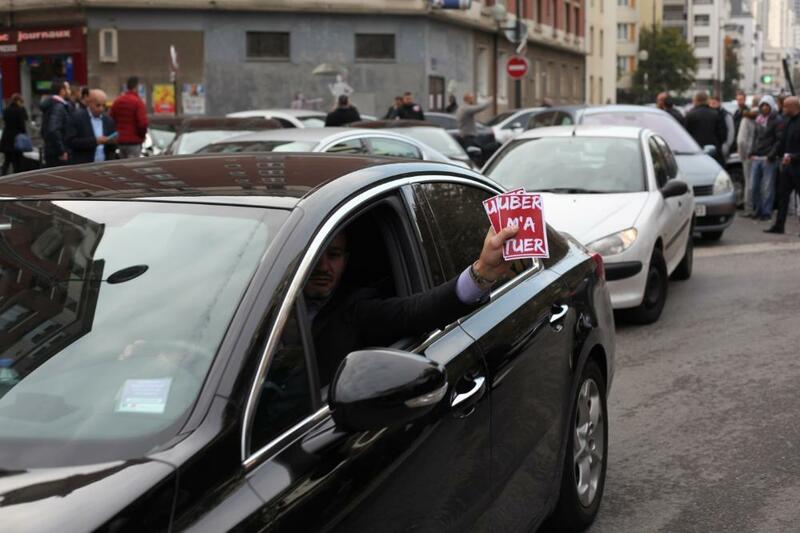 This time, Paris drivers have taken their anger to the streets to protest against Uber’s cost cutting by almost half. They are demanding that uber raise tariffs to almost double to what it is now. Uber argues that this decrease is better for customers, and for the drivers in the long run, referencing a survey conducted in New York where Uber has cut costs before. Protesters used slogans like “Uber Murderer” and “Uber killed me” because of how difficult it is for them to cope with the lower fares. Some argue that they drive semi-luxury and luxury vehicles for cheap prices, which is not easy for them to cover costs and gain profit at the same time. Some protesters said that Uber had deactivated the accounts of several drivers who attended protests, using geolocation. VICE News was not able to verify this information. I feel that this falls under the social responsibility Uber has towards its foreign markets. I think if Uber had the courtesy to conduct another survey for the Paris drivers to see how they felt with cost cutting, they would have avoided a situation like this. One cannot simply apply aspects from one market to another international market, that is why many brands have regional products and services that are not offered in other regions.